Living alone brings you closer to yourself. It is a lifetime experience and we believe every girl must try to live solo and take decisions, not only of her life but even her abode. 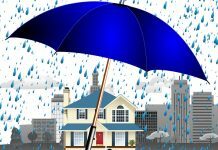 Yes, senorita as you stay alone, you have the complete liberty to decorate your life and home as you wish and the best thing is that you don’t have to get the approval of anyone. From the living room to your bedroom we bring 12 refreshing decor ideas that are within your budget and definitely appealing. So the next time you throw a party make your home look chic and let your girl squad take cues from it. 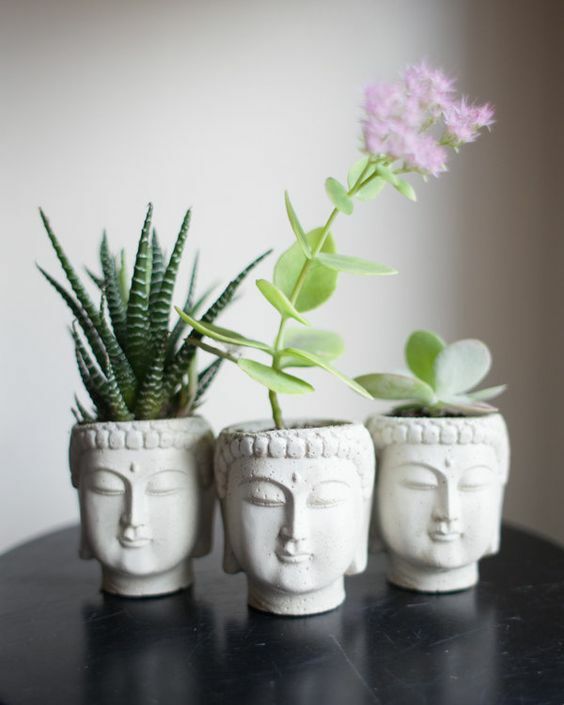 Sometimes living alone can be really overwhelming, but worry not you can get yourself a pet, but if a pet doesn’t fancy you then you ought to decorate your hall with the bamboo tree, small pots that will rejuvenate your mood and even give you time to look after someone. 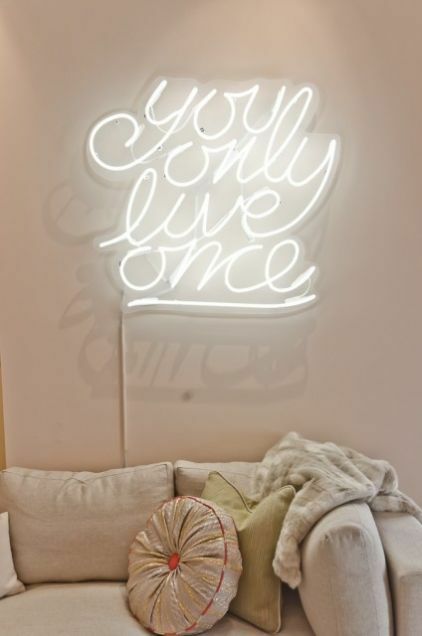 Bring out the diva in you and decorate your living room, bedroom with neon lights. We aren’t asking you to make your hall a discotheque, but yes delicate neon lights will definitely do a great job in accentuating your hall. Make your hall inviting and cozy with a furry rug. 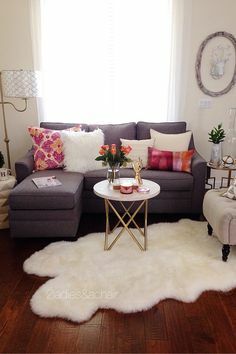 Fur rugs will even make plain looking areas, posh and classy. And how about a white rug in between your hall? You should feel happy when you enter your abode and nothing can beat a stunning piece of art hanging on the wall. It can be anything that will appeal your tastes and bring positivity. 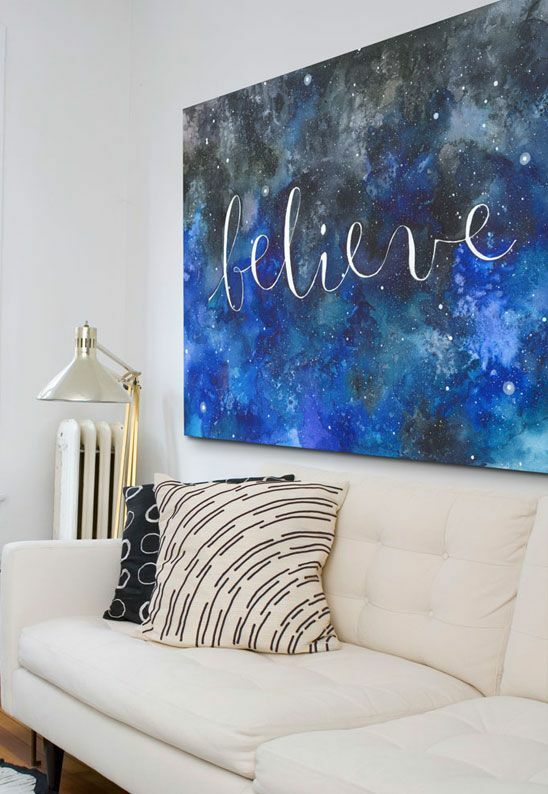 Take cues from this astounding Believe wall art which even you, can make on your own and bring a personal touch to your home decor. 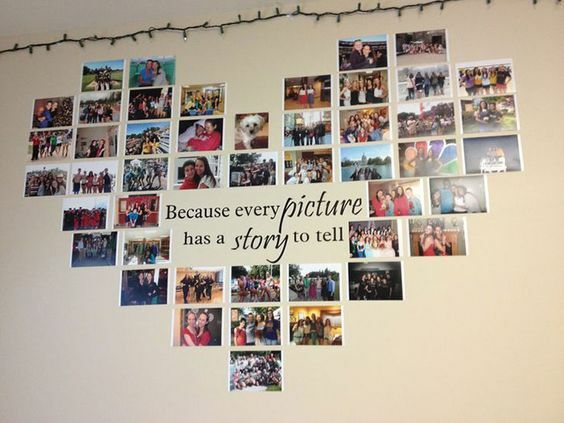 Your house is incomplete without pictures of your beloved. Be it your family, fiance or even your pet, you need to give an entire wall to your loved ones by adding funky photo frames on your walls. And when you start missing anyone, just one glance on the photo frame and you will feel they are near you. 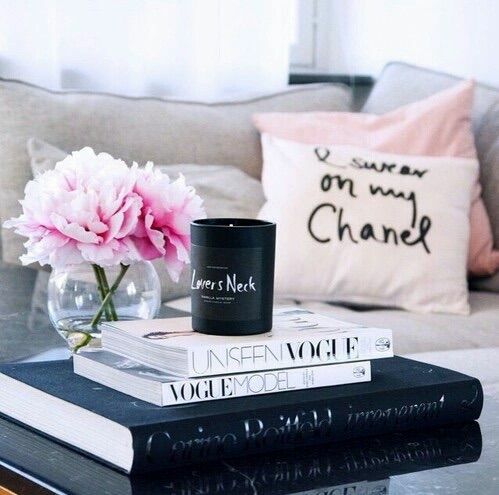 Your house should speak about your fashion, and you need to have chic fashion, travel or lifestyle magazines that will elevate the look of your entire room. Go a step ahead and decorate your dinner table with chandeliers, this will not only make your room look posh but even make your dinner affair interesting. 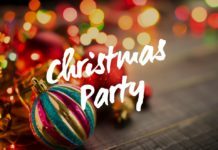 And when you throw parties, people would definitely enjoy your chic home interiors. 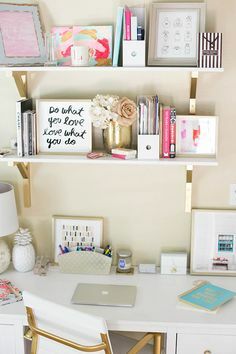 If you have the perks of work from home, then girl you need to dedicate a special place to your work area and decorate it with motivating quotes, vibrant stationery that will motivate you to work even if you are at home. 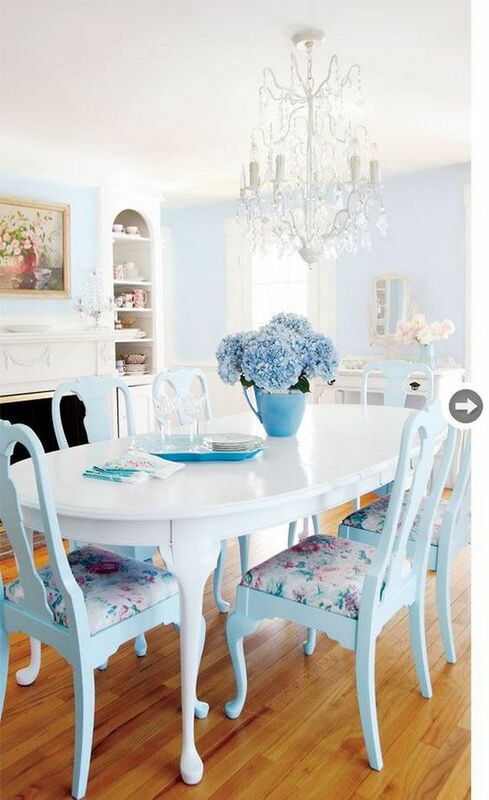 You can even add flowers that will accentuate your mood and work table. A bachelorette pad is incomplete without a pot of fresh flowers, now we aren’t asking you to pick the traditional roses, instead pick white lilies, orchids that will bring happy vibes and even reduce your Monday blues or lonely moods. 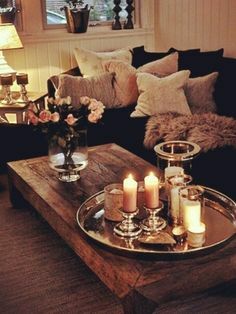 Along with stunning flowers decorate your beautiful home with scented candles that will rejuvenate your mood and make you feel cozy and relaxed. You definitely need this after a tiring day at work. 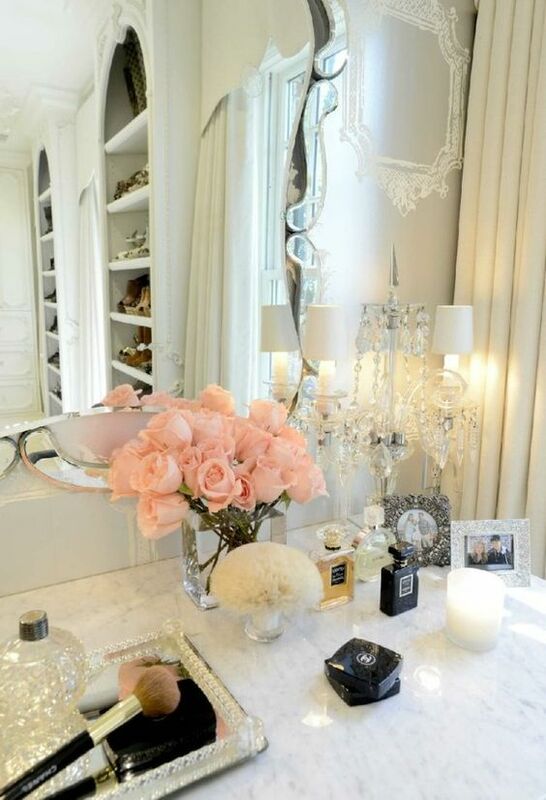 You can even add small pots of candles in your bathroom and elevate your home look. 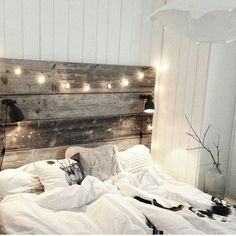 If you are living alone you wouldn’t spend on a lavish bed set, but you can definitely make your bedroom lavish or funky (depends on you) with a quirky headboard panel. You could either DIY or decorate with artistic pieces, frames, quotes and lights. 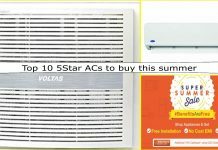 Music lovers ought to own high-quality speakers that would enliven your home, mood and keep loneliness at bay. Also, you can play some of your favorite tracks while cooking, bathing and cut down the feeling of boredom. Hope you liked our super easy ways to make your bachelorette pad lively. If you have any more ideas on home decor, then do share with us in the comments below.